When the body of journalist Jerry Markham is found in a traditional Shetland boat, outside the house of the Fiscal, down at the Marina, young Detective Inspector Willow Reeves is drafted in from the Hebrides to head up the investigation. Since the death of his fiancee, Inspector Jimmy Perez has been out of the loop, but his interest in this new case is stirred and he decides to help the inquiry. His local knowledge is invaluable as the close-knit community holds many secrets. Markham - originally a Shetlander but who had made a name for himself in London - had left the islands years before to pursue his burgeoning writing career. In his wake, he left a scandal involving a young girl, Evie Watt, who is now engaged to a seaman. He had few friends there, so why was he back in Shetland? Willow and Jimmy are led to Sullum Voe, the heart of Shetland's North Sea oil and gas industry. It soon emerges from their investigation that Markham was chasing a story in his final days. One that must have been - for someone - significant enough to warrant his death . 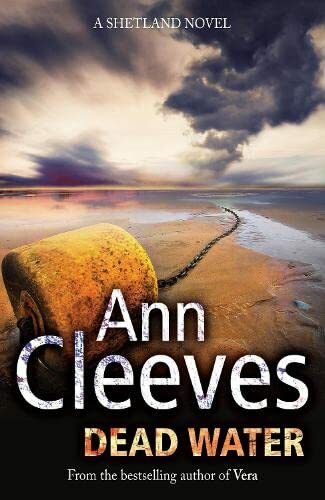 . .
"One of Ann Cleeves' strengths is her description of characters and her way of understanding exactly how people work. This continues in this book. Perez' depression and mourning is beautifully described, as is his slow emergence from the depression into which he has sunk." "This is a beautifully written and cleverly plotted thriller made all the more special by the setting."